Snoring might not bother the one snoring, but it can make sleeping difficult for those who are kept awake by the rattling of the windows. 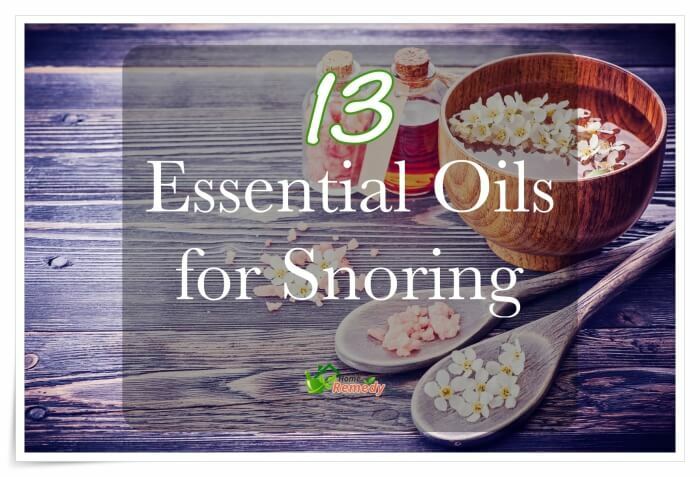 If your snoring keeps you or those you love from getting a goodnight’s sleep, consider the use of one or more of our 13 essential oils for snoring. However, keep in mind that our essential oil remedies are not all-inclusive cures. 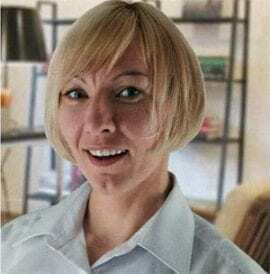 Snoring can be a sign of a more serious condition known as sleep apnea, which requires the advice and treatment of a health care professional. Used in a diffuser for aroma therapy, gargled, or added to carrier oils, like coconut, almond, olive or jojoba, for massage are some of the most common ways that essential oils are used as a form of treatment. Unless specifically directed and the oil is considered a “food” oil, essential oils are not to be taken in orally. Besides avoiding oral consumption, be careful with essential oils around your eyes and other sensitive areas. Test your skin’s sensitivity to particular oils by placing a drop on the skin of your wrist. If your skin is sensitive to the oil, consider diluting it with one of the carrier oils mentioned above. Topping off our list of essential oils for snoring is marjoram. Loaded up with antioxidants and closely linked to the treatment of sleep apnea in which it opens inflamed airways and stops snoring. Add 4 to 5 drops of marjoram oil to 1 tsp of carrier oil. Apply the mixture to the outer rim of your nostrils or over the upper lip, and massage it into the throat and chest before going to bed. Do this nightly to control snoring. A popular ingredient in vapor rubs, eucalyptus is also beneficial as one of the essential oils for snoring. 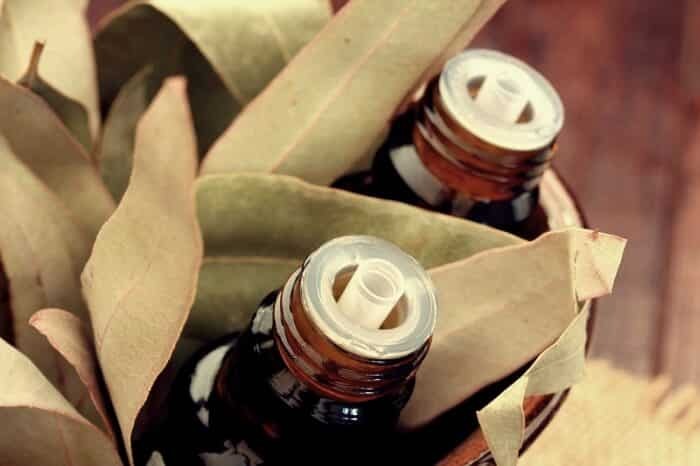 Not only is it a decongestant and expectorant, but eucalyptus oil is also know to shrink the swelling of inflamed airways and encouraging free airflow. Test a drop of eucalyptus oil on your wrist to see how sensitive your skin is to it before using it at full strength. If your skin is sensitive, use it like in the marjoram remedy above. If your skin isn’t irritated by it, place a drop or two on your upper lip and around the rim of your nose before going to bed. Peppermint is another of the powerful and popular essential oils for snoring. Not only is peppermint anti-inflammatory, but it also has a soothing and relaxing quality about it which helps you sleep more soundly. 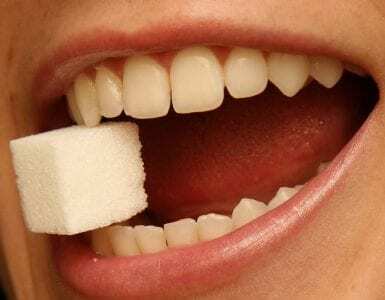 In addition, peppermint clears out congestion, which is sometimes the cause of snoring. Apply peppermint oil using one of the two methods we described above before going to bed. Alternatively, you can boil a pot of water, remove it from heat and place 4 to 5 drops of peppermint oil in it. Position your head above the steaming pot with a towel draped over your head to direct the steam into your nostrils. Breathe in the steam for about 10 minutes before going to bed. Repeat either of these remedies nightly. Thyme is also among the essential oils for snoring which works very well. It relaxes your nervous system and helps to cause deeper, uninterrupted sleep. This deeper sleep helps stop snoring. Blend together equal amounts of olive oil and thyme oil. Apply the oil blend to the bottoms of your feet and your wrists before going to bed. As an alternative, you can add thyme oil to a humidifier or make use of it in a steam inhalation treatment as directed above. Although olive oil is often used as carrier oil, it is among the best essential oils for snoring. Not only does olive oil have anti-inflammatory properties to help open nasal passages, but it also helps to reduce vibrations in your throat. 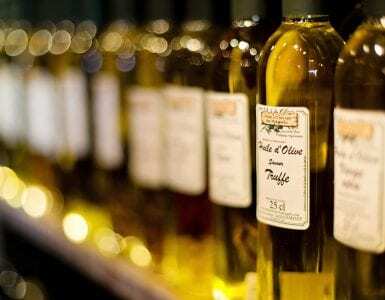 Before bedtime, swallow 1 tsp of extra virgin olive oil. If you need a little sweetener to make it go down easier, add equal amounts of olive oil and honey to 1 Tbsp and take it that way. Repeat this remedy nightly as well. Among the most traditional essential oils for snoring and respiratory tract conditions is sage. Sage can soothe sinus infections and inflammation in the sinuses and throat and help eliminate acute snoring often associated with respiratory illnesses. Add 5 drops of sage oil to1 tsp of coconut oil. Massage the oil mixture into your chest and throat before bedtime. Repeat this nightly while suffering from a respiratory infection. More typically associated with antiseptic uses, tea tree oil is actually a great choice among the essential oils for snoring. Its anti-inflammatory properties help to open up blocked airways and promote soothing, normal breathing. Additionally, tea tree oil is known to reduce mucus production as well. Tea tree oil can be used in humidifier, steam treatment or added to carrier oil for application on chest and throat. 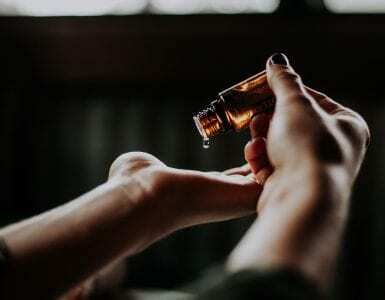 Placing a few drops of tea tree oil on the edge of your pillow before going to bed is another way to take advantage of its powerful properties. 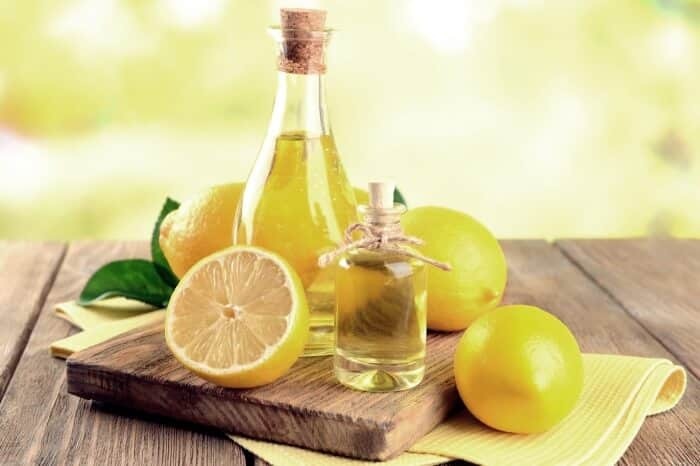 As a treatment of asthma, lemon oil is touted as one of the best essential oils for chronic respiratory problems. It is also among the top essential oils for snoring. Lemon oil helps relax airways and make you breathe easier. Add 2 or 3 drops of lemon oil to a warm cup of chamomile tea. Drink this tea nightly before going to bed. The sweet smell of lavender is also among the top essential oils for snoring. Because it addresses a wide variety of cardiovascular and respiratory issues, as well as working as a sleep aid for those with insomnia, this oil is one of the most popular go-to remedies for snoring and sleep apnea. Most people choose to place 4 to 5 drops of this essential oil on their pillow at bedtime. It can also be added to a humidifier, steam treatment or added to a chest and throat rub. Another means of utilizing lavender oil’s goodness is to use it in a nightlight diffuser. An underused oil, which is one of the most effective essential oils for snoring, is cedarwood oil. Not only does this oil promote calming and deeper sleep, but it reduces the inflammation which typically leads to snoring. Additionally, cedarwood is great for stimulating the immune system, most specifically related to the respiratory system. Blend 4 to 5 drops of cedarwood oil with 1 tsp of carrier oil. Massage the oil into the bottoms of your feet, wrists, chest and throat before bedtime. Similar to cedarwood, pine is an underused essential oil which is among the best essential oils for snoring. Pine tends to calm the respiratory system as well as reduce inflammation opening up airways for deeper breathing and more restful sleep. It also eliminates muscle spasms often associated with snoring and sleep apnea. Utilize 4 to 5 drops of pine essential oil in the same way as you might use cedarwood oil above. There should be no surprise that chamomile is on our list of essential oils for snoring. Known for its relaxation qualities, chamomile oil’s anti-inflammatory and sedative properties are very effective at promoting sound sleep without snoring. Chamomile can be used in room diffusers, placed on your pillow before bedtime. Add 8 to 10 drops of chamomile oil to your bathtub and have a good soak for 15 to 20 minutes before bedtime. Related to pine and cedar, juniper berries also produce one of the most effective and underused essential oils for snoring. 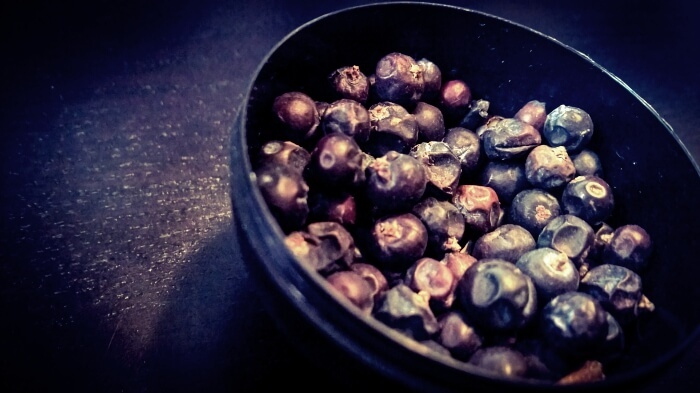 Because juniper berries are well known for reducing physical and emotional stress and work as a natural anti-anxiety treatment, it also has profound effects on reducing the causes of snoring and sleep apnea. Add 4 to 5 drops of juniper berry oil to 1 tsp of carrier oil and use it on feet, wrists, chest and throat before bedtime. Adding it to a room diffuser or humidifier is also a good means of delivery. A few drops of juniper berry oil on your pillow case is also effective. Getting a good night’s sleep is essential for maintaining your own overall health as well as the overall wellness of your family. If you are rattling the windows and awakening yourself or your loved ones, an uninterrupted night of sleep isn’t going to happen. Armed with our list of essential oils for snoring, you can put an end to sleepless nights and improve everyone’s health. 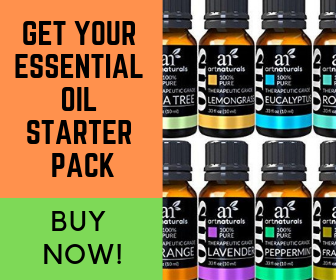 If you have additional essential oils to add to our list, or have question and comments, please add them in the section below.